AgenaTrader is a high end trading platform, which goes one step further than analogous trading tools. With features ranging from chart trading and integrated market scanners, AgenaTrader aims to save valuable time for traders and provide all the necessary functionality for various trading styles and strategies. In addition to discretional and fully automated trading the semi-automated trading approach is also completely integrated. 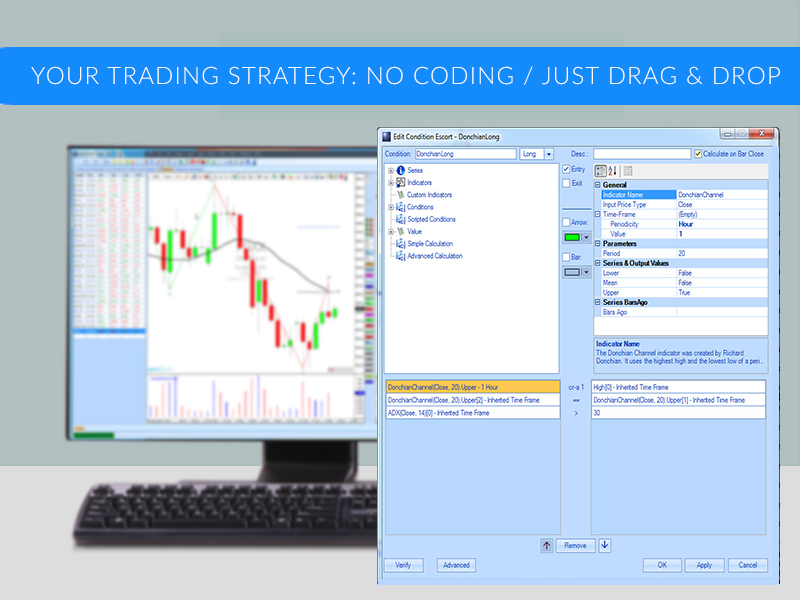 This state of the art functionality also supports ability to Import indicators and strategies from external systems such as NinjaTrader® (provided that they are programmed according to the NinjaScript API-Documentation)! Regardless of whether you prefer to trade with a chart, DOM, order book or using the keyboard, with this trading software, there are no limitations. NinjaTrader (provided that they are programmed according to the NinjaScript API-Documentation)! Automatize the routine work of the daily trading cycle! Program signals simply by a mouse click! Programming skills are not required! Compare many different indicators with each other or with static values! Mix variable time frames per Condition! Program complicated signals using AND, OR, XOR relations and brackets simply by a mouse click and without programming skills! Use Conditions to create complete strategies, in AT Centaurus, by a mouse click! Scan thousands of instruments in real time according to your signals! Use indicators and self-coded signals or conditions for scanning! Program your signals via C#-AgenaScript or using the ConditionEscort by mouse click! 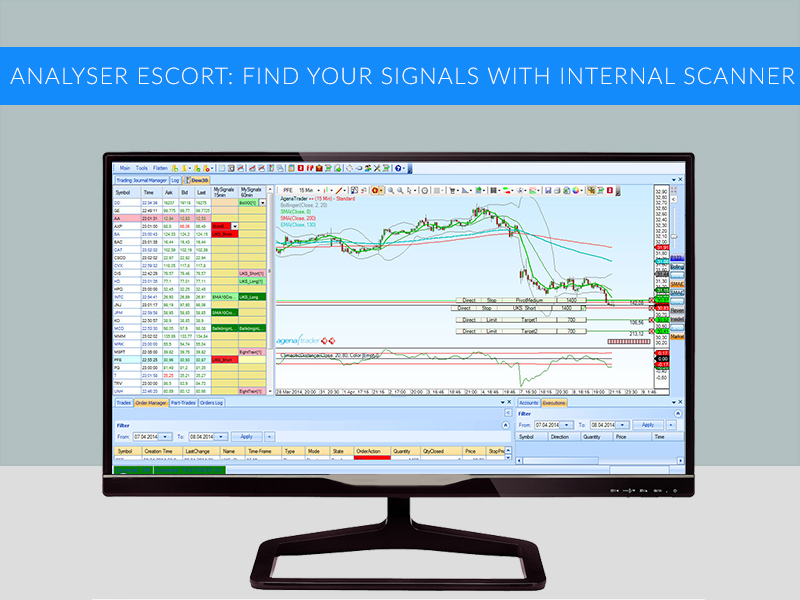 AgenaTrader will search your signals in different time frames! 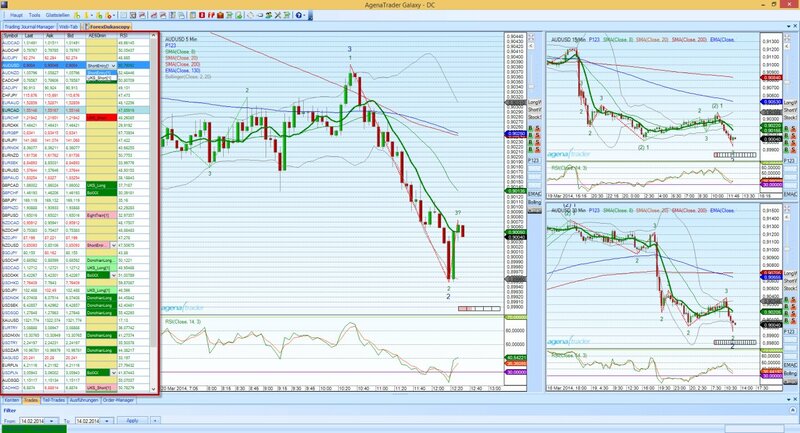 Combine entry signals and complete strategies with stops and targets by mouse click in the SetupEscort! Activate strategies by mouse click as soon as the corresponding signal appears in the scanner! 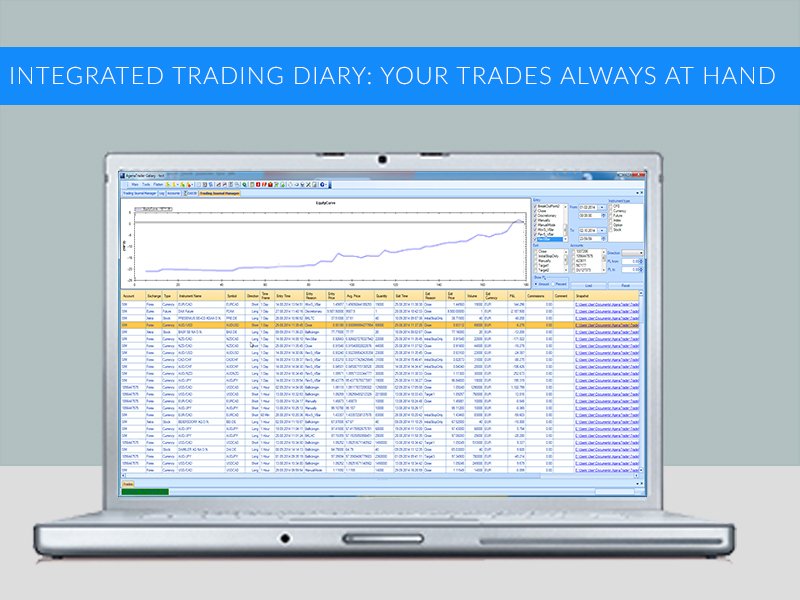 According to the motto: the system suggests, the market and the user decide, AgenaTrader manages your trades!